Stocking are usually hung with care and full of sweet treats that aren’t exactly great for teeth. 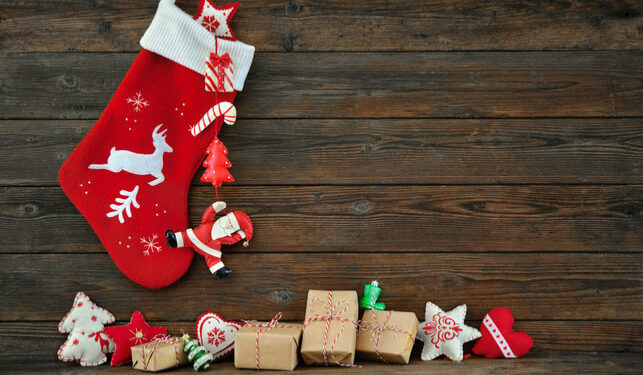 But we have some recommendations for our favorite mouth-healthy stocking stuffers that can give your child a leg up on oral health this holiday season. Toothbrushes should be replaced every 3-4 months, depending upon the health of the bristles, which makes Christmas the perfect time to resupply your child’s toothbrush stock! When choosing a toothbrush, try to find one that is easy for your child to hold, and that will comfortably fit into their mouth. You’ll also want to find one with soft bristles that won’t be agitate their gums and look for the ADA seal of approval to ensure that you’re buying one that has been thoroughly evaluated and approved by a respected institution. Toothbrushes are perfect stocking stuffers to help your child keep their mouth healthy during the holidays! It can be difficult to get young brushers to understand the importance of flossing, and the act of flossing can be tough for children with small, uncoordinated hands. But there is a solution that can get young children to floss more regularly: floss picks. Floss picks are small, toothpick like devices that have a string of floss mounted on a handle that makes it easier for people to floss. 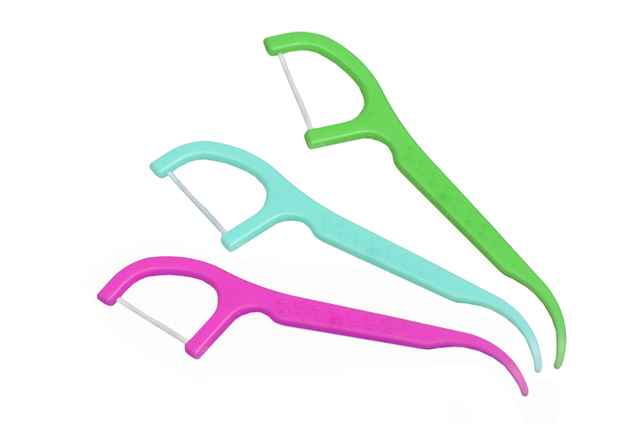 Floss picks come in large packs of 50 or 100 and are ideal for getting new flossers to floss regularly. Sometimes, it can be difficult for young children to visit the dentist. They may be anxious about meeting strangers, or afraid of dental care in general, but it’s important to remind them how essential and important it is to visit the dentist every six months. Mercer Meyer’s “Just Going to the Dentist” is the story of a young critter visiting the dentist for the first time and explores some of the common tools and procedures in a regular dental checkup to help dispel fears of visiting the dentist. This book is perfect for young children that have anxiety about visiting the dentist and does a great job of explaining why it’s important to schedule a regular checkup. Instead of candy canes or chocolate bars, try stuffing your child’s stocking with something that tastes great AND cleans teeth – gum sweetened with Xylitol! This mouth-friendly gum benefits teeth because Xylitol stimulates saliva production. Saliva works to clean teeth by naturally clearing debris that can buildup and cause cavities. It also regulates oral acid levels and helps to prevent plaque buildup which can lead to tooth decay. Saliva is also very high in calcium and can help strengthen enamel – the first line of defense against cavities! We hope that your family has a happy and healthy holiday season, and that you all take care of your oral health over the break. If your child has an extended break, then schedule an appointment in our office for a regular checkup. The holidays are a great time to get ahead on your children’s oral health.